The Times this afternoon reports that the Mets are close to a deal with Japanese reliever Ryota Igarashi of the Yakult Swallows. From what I’ve read Igarashi is either a righthander with a deceptive motion and good control, or a wild righty who throws mad heat, but should be considered to be a late-inning relief candidate in any disguise. All the photos I’ve seen indicates he prefers to wear No. 53, which happens to be Jerry Manuel’snumber. In other words, if the Mets don’t get off to a hot start, he can have it on Memorial Day. 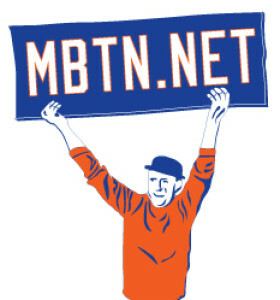 My confidence in the Mets’ ability to do the right thing for the club is shaky at best, but that’s mainly due to those occasions when they kowtow to the demands of Francessa’s listeners and columnist hacks like John Harper of the Daily News (THE METS MUST SIGN LACKEY he demands as hunting season opens and “THE METS NEVER HAD A CHANCE” he taunts at the end). The JJ Putz trade, which I’ll never stop maligning, was a perfect example. If this tricky offseason has shown anything so far it’s that the Mets haven’t turned themselves inside out only to create the illusion they’ve solved their problems or to win a meaningless competition to make the biggest offseason splash. They can certainly do a better job standing up for themselves in the meantime, but I’m glad they aren’t getting pushed around, so far. Kudos too to the Phils for boldly making the moves they feel they have to to stay on top. It wouldn’t be any fun to know your opponents weren’t also trying.